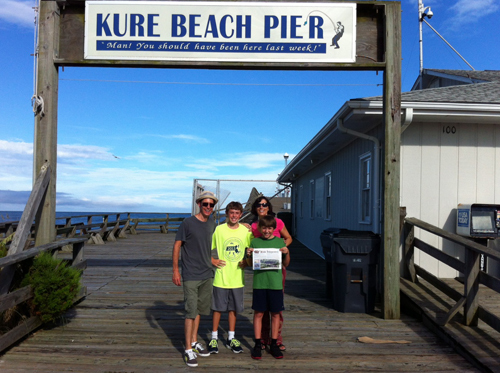 In August, the Porters had some quality beach time at Kure Beach, NC, home of the oldest fishing pier on the Atlantic coast. The Lally’s (Jim and Heather in photo, Elaine photographer) recently spent a few days in the Acadia National Park in Bar Harbor, Maine. 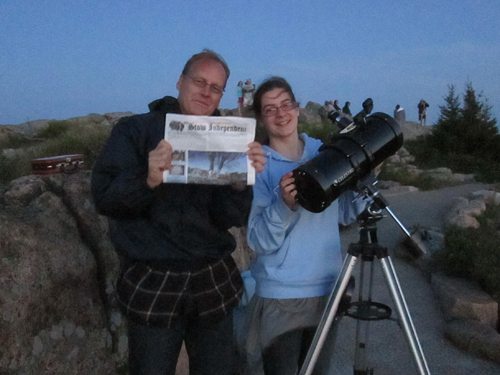 Heather brought along her telescope to the top of Cadillac Mountain with hopes of getting a closer look at the star constellations. Unfortunately the wind did not cooperate. It still was a good time with clear skies and bright stars. The Recko Family did a home exchange with a family from Belgium for 3 weeks followed by a 2 week exchange with a family from the Netherlands. 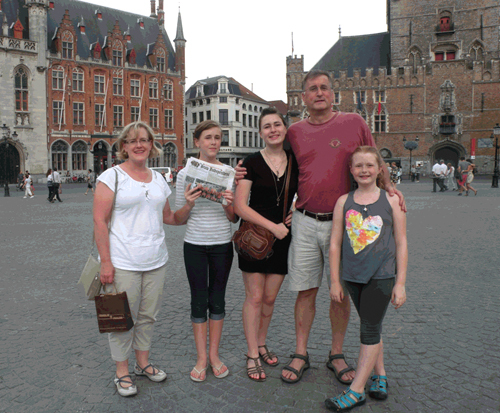 Here we are in the market square in Bruges, Belgium. Left to right, there is Eleanore, Abby, Emily, Doug and Audrey. In between Belgium and the Netherlands we squeezed in 4 days in Paris visiting friends.